Turn emails into more shareable documents and convert them! Total Mail Converter 4.1 was available as a giveaway on February 6, 2016! Turn emails into more shareable documents with Total Mail Converter from Coolutils. It converts emails (MSG, EML, EMLX, MIM files) to PDF, DOC, TXT, HTML, TIFF, JPEG files. All data including attachments is strictly preserved. A handy renamer will give your MSG files new descriptive names to avoid mess. Total Mail Converter is perfect for migration (MSG to PST), archiving, back up or just for keeping emails outside any email client. Please note: Use Idea Informer Widget to submit your improvement idea and win a FREE LIFETIME LICENSE for Total Mail Converter Pro (regular price is $169.90). It processes emails just like the regular Total Mail Converter, but also converts attachments. How would you improve Total Mail Converter 4.1? Total Mail Converter 4.1 with a Language Selection link embeded into the top toolbar. Convert Outlook emails or PST/OST files to PDF, DOC, RTF, TXT, TIFF files. Convert emails directly from Gmail, Yahoo, and Windows Live without having to export them first! Really nice of you folks to tell me i've registered this software - the open it and have it demand registration - for a fee. I have mbx files, so this will not archive my Eudora mail. Add mbx emails. Total Thunderbird Converter will convert MBOX files - it's a separate application. <b>Liafail</b> Total Thunderbird Converter will convert MBOX files - it's a separate application. Thank you. I'll look into it. <b>Steve</b> Thank you. I'll look into it. The real purpose of such software is to convert mail messages to a standard office format such as pdf. Even Office 365 with the latest Outlook has no built-in auto save to formats readable and printable outside of Outlook. Batch saving, i.e. the contents of a whole folder, means messages strung one after the other in one .txt file. Lovely. Would it cost Microsoft a phenomenal licence fee to implement batch saving to pdf, especially as with lease software one is more or less tied to pay an annual fee? No, it would not even need to push up the price. The private user gets the whole office software thrown into the package but Outlook, their mail client, is in some ways oversized but for practical use very, very basic. So, very pleased to add another extension to the home office work suite with today's Giveaway. The real purpose of such software is to convert mail messages to a standard office format such as pdf. Even Office 365 with the latest Outlook has no built-in auto save to formats readable and printable outside of Outlook. Batch saving, i.e. the contents of a whole folder, means messages strung one after the other in one .txt file. Lovely. Would it cost Microsoft a phenomenal licence fee to implement batch saving to pdf, especially as with lease software one is more or less tied to pay an annual fee? No, it would not even need to push up the price. The private user gets the whole office software thrown into the package but Outlook, their mail client, is in some ways oversized but for practical use very, very basic. So, very pleased to add another extension to the home office work suite with today's Giveaway. Thank you ! Forgot to ask, how long is this program good for, not obvious to me? Permanent with no upgrades? Thanks! joan The keys never expire, they are life-time. You even get all major upgrades till Jan 2017 for free. After that you may keep using your copy but won't be able to get upgrades. <b>joan</b> The keys never expire, they are life-time. You even get all major upgrades till Jan 2017 for free. After that you may keep using your copy but won't be able to get upgrades. I suggest to add a filter option based on keywords from emails text body or tags of emails. advanced filters are based only on file name size and date. I suggest a more advanced filter based on "keywords" from inside text body of emails. <b>Olga</b> Hello Olga, advanced filters are based only on file name size and date. I suggest a more advanced filter based on "keywords" from inside text body of emails. Added the key word filter to the new release. It's in the wizard. mohamed ahmed, Added the key word filter to the new release. It's in the wizard. I am not sure that this registered. I'm a Thunderbird user, btw. So I installed the program and than ran the GCD activation file, but I'm still seeing that in Help section where there are submenu items for Registration and About, that there's no Registration code for that item (I assume there would be?) and in the About section it shows Giveawayoftheday but no license/code and still has the Buy Now button activated (which leads to the website where you can purchase the sw). So.....is this now activated with full features or not? Is there some other step I have to do or have I followed the sequence incorrectly? I have tons of emails, anything that would help with the handling is appreciated. Thanks! Yes, your copy is registered. <b>joan</b> Yes, your copy is registered. Bummer Program does not activate with program open or program closed then try to activate. Using Windows 10. I am having the same activation question / problem. I am not sure this is activated? When I share an e-mail, I always forward them, why convert then save it, then start new e-Mail then add it as an attachment and then send it again. This program is not for forwarding emails. It is for saving them and working with them outside an email program. For instance, you can batch convert hundreds of client correspondence emails into .doc files that you can then keep in folders on your system. You will then be able to refer to, preview, and view without having to go into any email program. <b>serra</b> This program is not for forwarding emails. It is for saving them and working with them outside an email program. For instance, you can batch convert hundreds of client correspondence emails into .doc files that you can then keep in folders on your system. You will then be able to refer to, preview, and view without having to go into any email program. You would think that an email converter would automatically locate your email files, or at least give you a search function to locate the files. Not so. When you open the program, you're shown a directory tree of your whole computer. What am I looking for? .PST files? No, because they're not supported. The online video is useless because it makes you think it automatically locates your files in a folder called "emails". But the "emails" folder shown doesn't exist on my computer. No thumbs up from me. I'm having trouble figuring out this myself, no 'emails' folder for me either so their video tutorial is totally useless! Now I've gone to the effort of downloading it and trying to learn how to use it I guess next step is contacting the company. Wish they'd make a comment here, as this issue makes their product seem extremely hard to use - for almost $50 you think the least they could do is bring up your email files! I'm having trouble figuring out this myself, no 'emails' folder for me either so their video tutorial is totally useless! Now I've gone to the effort of downloading it and trying to learn how to use it I guess next step is contacting the company. Wish they'd make a comment here, as this issue makes their product seem extremely hard to use - for almost $50 you think the least they could do is bring up your email files! I submitted feedback to improve the app by adding a search function. But I evidently don't know how to use the Widget because my comment never showed up. Was hoping for a chance at a lifetime license. Something named "Total Mail Converter" that doesn't handle Outlook? Totally misnamed and uninstalled. I wonder just how long have you been using Outlook and do you know that .pst or .ost files are databases from which the individual messages need to be extracted first to allow conversion? You sound like my former boss who also damned and got rid of the electronic roll towel dispenser by his washbasin in the office because his first attempt at changing the roll jammed the machine and that was that. <b>John Saunders</b> I wonder just how long have you been using Outlook and do you know that .pst or .ost files are databases from which the individual messages need to be extracted first to allow conversion? You sound like my former boss who also damned and got rid of the electronic roll towel dispenser by his washbasin in the office because his first attempt at changing the roll jammed the machine and that was that. After I uninstalled Total Mail Converter I installed the same firm's Total Outlook Converter. The latter found all my emails and I tested it successfully by extracting all the emails in a sub folder to a Word document. As I said, Total Mail Converter is misnamed. It implies something that simply is not true. Do I know about pst files? I built my first computer in the early eighties and started using it with hexadecimal that I had to type in each time because there was no permanent storage. Yes, I do know about pst files even if I'm not their greatest fan. <b>Sigrid.DE</b> After I uninstalled Total Mail Converter I installed the same firm's Total Outlook Converter. The latter found all my emails and I tested it successfully by extracting all the emails in a sub folder to a Word document. As I said, Total Mail Converter is misnamed. It implies something that simply is not true. Do I know about pst files? I built my first computer in the early eighties and started using it with hexadecimal that I had to type in each time because there was no permanent storage. Yes, I do know about pst files even if I'm not their greatest fan. I would love to try the application but I only have PST and OST files from Outlook. If anyone knows of free or good application to convert these to PDF in batches, please post a comment! STRG+A + STRG+P and choose your installed PDF Converter. <b>John</b> STRG+A + STRG+P and choose your installed PDF Converter. If you download Cutepdf, you can highlight your outlook emails and save them as pdf files. Easy! Worked like a charm. I'm using Windows 7 Home Premium 64. I converted some old Outlook Express eml files to PDF, DOC and MSG files. Conversion was quick and content looks great. To make things clear: the software does not process Outlook Express dbx files, but only emls, i.e. mail files extracted from the default Outlook Express database (dbx). The converter does not process Outlook pst files, either, only msg files extracted from Outlook pst files. Instead, they offer other applications that are allegedly able to process dbx or pst files, but it is, as for me, quite overpriced as compared to free utilities capable of doing the same job. This means that Outlook Express and Outlook users first need to extract files to – respectively – the eml or msg format and then – using this GAOTD – may enjoy having them converted to pdf, doc, html etc. file formats. As for me, that’s quite a tedious process. Actually, I do not see any sensible reason to install and use the software, except where you have time to extract files from default mail-client databases only to have them converted to various formats with allegedly sophisticated layout the developer seems to offer. If you are not interested in such layouts and simple conversion will suffice, then you may get the same effect just using print options that – in most cases offers the printout at least in the pdf and html formats, and that are available directly from your mail cilent. "I do not see any sensible reason"
I do try repair some computers and sometimes Windows mistakes. Also user mistakes. Quit often I find files(eml). In the time, that Outlook Express was working, no point. Nowadays, Win7 . . Win10 these files can't be opened any more. Also the attachments were saved. Your suggestion of printing in PDF is much better, if you are still using that software. I have met people, that print messages with the printscreen-key and scissors. <b>Marek</b> "I do not see any sensible reason" I do try repair some computers and sometimes Windows mistakes. Also user mistakes. Quit often I find files(eml). In the time, that Outlook Express was working, no point. Nowadays, Win7 . . Win10 these files can't be opened any more. Today I found some old files: https://dl.dropboxusercontent.com/u/10366431/_GOTD/TotalMailConverter41_20160206/InvoerTest2.png loaded them in today's program: https://dl.dropboxusercontent.com/u/10366431/_GOTD/TotalMailConverter41_20160206/Test2Geladen.png And the result: https://dl.dropboxusercontent.com/u/10366431/_GOTD/TotalMailConverter41_20160206/UitvoerTest2.png Also the attachments were saved. Your suggestion of printing in PDF is much better, if you are still using that software. I have met people, that print messages with the printscreen-key and scissors. 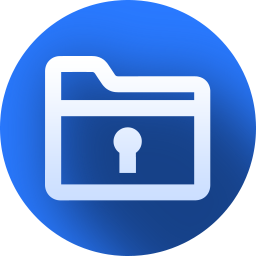 Where emails are concerned, archiving to the cloud is -- for example -- a problem, because as a relative of mine found out to her cost, you can wind up with dozens of the things which you've carefully uploaded to backup folders. . . only to discover that none can be read because they're (literally) outside the email client. Instead, there's just a list of emails with subject lines that don't necessarily mean that much but all of which have to be downloaded again in order to figure out exactly what they're about. Life gets no more tedious than that. I'm on Windows 7 running the Vista version of Windows Mail (far superior to the awful Live Mail) so all my emails are in the .eml format. Google obligingly keeps an extensive cache for me at no charge, whilst for backing up to Cloud storage, I simply "print" important email correspondence using the excellent free Bullzip PDF "printer". I can then, whenever I wish, check my Cloud account(s) and immediately read the emails there online in pdf form. Total Mail Converter's capabilities are obviously more comprehensive than a free PDF converter but as it's up against not only freeware printers like Bullzip and Windows' own excellent -- though strangely little known -- Snipping Tool (in Windows 7: can't speak for any other OS) for screen capturing / jpeg image viewing, it's difficult to see a case for its $50 re-install cost. Thanks GOTD, and thanks, too, to Total Mail Converter, but I'll pass. Where emails are concerned, archiving to the cloud is -- for example -- a problem, because as a relative of mine found out to her cost, you can wind up with dozens of the things which you've carefully uploaded to backup folders. . . only to discover that none can be read because they're (literally) outside the email client. Instead, there's just a list of emails with subject lines that don't necessarily mean that much but all of which have to be downloaded again in order to figure out exactly what they're about. Life gets no more tedious than that. I'm on Windows 7 running the Vista version of Windows Mail (far superior to the awful Live Mail) so all my emails are in the .eml format. Google obligingly keeps an extensive cache for me at no charge, whilst for backing up to Cloud storage, I simply "print" important email correspondence using the excellent free Bullzip PDF "printer". I can then, whenever I wish, check my Cloud account(s) and immediately read the emails there online in pdf form. Total Mail Converter's capabilities are obviously more comprehensive than a free PDF converter but as it's up against not only freeware printers like Bullzip and Windows' own excellent -- though strangely little known -- Snipping Tool (in Windows 7: can't speak for any other OS) for screen capturing / jpeg image viewing, it's difficult to see a case for its $50 re-install cost. Thanks GOTD, and thanks, too, to Total Mail Converter, but I'll pass. Anyone manged to make it work? I pointed the program to my Outlook PST files but it cannot open anything. If I press one of my Outlook a PST file within Total Mail Converter, it jump to Outlook which then shows a message saying "Outlook data files must be open from within Outlook" ??? There is Total Outlook Converter to convert PST files. <b>Gideon</b> There is Total Outlook Converter to convert PST files. What I like about coolutils is that most (if not, all) their tools have commandline functionality, meaning you can let the application work from commandline without having to load and interact with the main interface. I do a lot of exporting from thunderbird so I might have a use for this in the future, I just downloaded it and installed it, backed it up and then removed it. I think their 99$ offer is fro their WHOLE suite of applications. Which is something to think about if you have the cash, you can save yourself a lot of time by using the command line options within those applications (some scripting experience needed). And to GOTD, get rid of the "Idea Informer" process of submitting ideas OR have seperate inputfield directly below the GOTD inputfield in which ideas are directly send to "Idead Informer" the moment the user presses the blue "Comment" button. The "Idea informer" forces the user to have an account there and the input method (one line inputfield first then submit!?) is just irritating. What I like about coolutils is that most (if not, all) their tools have commandline functionality, meaning you can let the application work from commandline without having to load and interact with the main interface. Within Total Mail Converter, in the menu above go to: "Help" >> then "Command line parameters" and look at the options you have it's not just plain conversion... I do a lot of exporting from thunderbird so I might have a use for this in the future, I just downloaded it and installed it, backed it up and then removed it. I think their 99$ offer is fro their WHOLE suite of applications. https://www.coolutils.com/ProSuite Which is something to think about if you have the cash, you can save yourself a lot of time by using the command line options within those applications (some scripting experience needed). And to GOTD, get rid of the "Idea Informer" process of submitting ideas OR have seperate inputfield directly below the GOTD inputfield in which ideas are directly send to "Idead Informer" the moment the user presses the blue "Comment" button. The "Idea informer" forces the user to have an account there and the input method (one line inputfield first then submit!?) is just irritating. I use yahoo webmail and have a number of folders. I really need such a program to export the folders to pdf but it seems yahoo mail is not supported. It's a pity and so I will uninstall Mail Convertor. Read the description of the app. It is not for webmail. I just read the description but never tested by myselph. <b>John</b> Read the description of the app. It is not for webmail. Perhaps you should try with this: https://www.coolutils.com/TotalWebmailConverter I just read the description but never tested by myselph. Good luck! A program called CutePDF has a free version that allows you to print to a PDF file from any application that has a PRINT function. It installs as a printer called "CutePDF" that shows up on your list of available printers. Yahoo is an online mail service, this software is only for converting emails already on your computer. <b>John</b> Yahoo is an online mail service, this software is only for converting emails already on your computer. 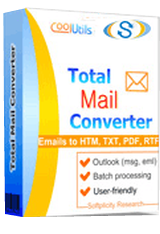 Total Webmail Converter will process emails from any online service - Yahoo, Gmail, etc. <b>Steve</b> Total Webmail Converter will process emails from any online service - Yahoo, Gmail, etc. Have to say that I do not really understand why people should think that it is a good idea to pay 50 bucks for something you can do with, Ctrl+A - Ctrl+C - Ctrl+V. Exactly my thoughts too, or you can freely print an email to pdf or xps document... As far as I see it and from other comments this program fails to properly solve a problem that never exists for anyone remotely experienced with using computers. <b>Par Svensson</b> Exactly my thoughts too, or you can freely print an email to pdf or xps document... As far as I see it and from other comments this program fails to properly solve a problem that never exists for anyone remotely experienced with using computers. Yes, in the days of horse and cart mail delivery this method would have been revolutionary. <b>Par Svensson</b> Yes, in the days of horse and cart mail delivery this method would have been revolutionary. Yep. That was my first thought. Copy/Paste. <b>Par Svensson</b> Yep. That was my first thought. Copy/Paste. That doesn't quite do the same thing, and doing it hundreds or even thousands of emails is impractical. <b>Par Svensson</b> That doesn't quite do the same thing, and doing it hundreds or even thousands of emails is impractical. Fair enough for home users with few emails. Office users will save a lot of time with batch processing. Frankly Total Mail Converter is mostly sold for commercial use, where they process thousands of emails at a time. <b>TK</b> Fair enough for home users with few emails. Office users will save a lot of time with batch processing. Frankly Total Mail Converter is mostly sold for commercial use, where they process thousands of emails at a time. For Office users...or professionals that need to share emails regurlarly it is usually done more efficiently ON the company email server itself. Where emails to info@ some domain is distributed to ALL who might be tasked with responding to or acting on inbound emails on that alias. And accounts@ same domain is distributed to the entire accounts team and it gets processed on a shared database so everyone knows it's being delt with. Or they use facilities like shared folders and filters to put specific types of emails in folders shared with a team. The momemnt you convert emails to an editable format outside the email system they are no longer a legal record of comunications as and when they took place as they can easily be edited and key facts changed. It would be inefficient and counterproductive to have staff manually batch converting thousands of emails on a regular basis. Any such business if they had such a real need would commision thier own dedicated program to do the task automatically for a couple of thousand dollars dev-time and release any staff to do work more suited to the human intelligence. <b>Olga</b> For Office users...or professionals that need to share emails regurlarly it is usually done more efficiently ON the company email server itself. Where emails to info@ some domain is distributed to ALL who might be tasked with responding to or acting on inbound emails on that alias. And accounts@ same domain is distributed to the entire accounts team and it gets processed on a shared database so everyone knows it's being delt with. Or they use facilities like shared folders and filters to put specific types of emails in folders shared with a team. The momemnt you convert emails to an editable format outside the email system they are no longer a legal record of comunications as and when they took place as they can easily be edited and key facts changed. It would be inefficient and counterproductive to have staff manually batch converting thousands of emails on a regular basis. Any such business if they had such a real need would commision thier own dedicated program to do the task automatically for a couple of thousand dollars dev-time and release any staff to do work more suited to the human intelligence. Not overly impressed. Too restricted in the type of email that can be converted, and does anyone really need conversion into all those different formats? Would have preferred to be able to convert according to email client name - Becky, The Bat!, Postbox etc. Also seems to need another application in order to automate. A shame, because I think there's an opportunity for this type of software. Not everyone uses Outlook, and some of us have tested many email clients over the years looking for the ideal one, and in so doing have accumulated mails in different formats. Not overly impressed. Too restricted in the type of email that can be converted, and does anyone really need conversion into all those different formats? Would have preferred to be able to convert according to email client name - Becky, The Bat!, Postbox etc. Also seems to need another application in order to automate. A shame, because I think there's an opportunity for this type of software. Not everyone uses Outlook, and some of us have tested many email clients over the years looking for the ideal one, and in so doing have accumulated mails in different formats. Simple to install and register, end of simple. Had no joy at all with my Gmail account as it appears to be catering for Microsoft's Outlook files, MSG and EML. Surprised it did not connect directly with my e-mail provider, but instead the e-mails must be saved onto the hard disk. Not such an easy task in Gmail, but the link provided may help some. In my fumbling around I did try to convert some image files, but was informed I should use their image file converter. In fact everything I tried to convert seems to need another of their converters. This is my first experience of programs of this type so is a bit like the blind leading the blind, but unless I am mistaken it is not much use to people like myself who do not use Outlook. 1. Even though I installed the program, and the gotd successful installation window appeared, the program menu continues to prompt for a registration code and to offer to sell for $99. 2. I use Thunderbird. From within the program, I navigated to the Thunderbird email folders. From there on, no matter what I do, including the selection of folders, I get the message that no files have been selected. 3. Using Windows 10, I cannot run the program from the start menu because it does not appear there. I can only run it from a link on the desktop. 4. The pdf help file at the assocated website gives no helpful guidance. 5. Although the promotional material says that the program works with Thunderbird, it looks like it is actually geared to Outlook. 1. Even though I installed the program, and the gotd successful installation window appeared, the program menu continues to prompt for a registration code and to offer to sell for $99. 2. I use Thunderbird. From within the program, I navigated to the Thunderbird email folders. From there on, no matter what I do, including the selection of folders, I get the message that no files have been selected. 3. Using Windows 10, I cannot run the program from the start menu because it does not appear there. I can only run it from a link on the desktop. 4. The pdf help file at the assocated website gives no helpful guidance. 5. Although the promotional material says that the program works with Thunderbird, it looks like it is actually geared to Outlook. Re "I use Thunderbird. ... I get the message that no files have been selected." That is because Thunderbird's mbox format (comparable to pst) cannot be handled by the giveaway. I installed the ImportExportTools extension to generate pdf's from a Thunderbird subfolder. In "How would you improve Total Mail Converter 4.1?" I left the suggestion that they include Thunderbird's mbox format as an input format. But my suggestion has not (yet) been approved for publication. <b>HJB</b> Re "I use Thunderbird. ... I get the message that no files have been selected." That is because Thunderbird's mbox format (comparable to pst) cannot be handled by the giveaway. I installed the ImportExportTools extension to generate pdf's from a Thunderbird subfolder. In "How would you improve Total Mail Converter 4.1?" I left the suggestion that they include Thunderbird's mbox format as an input format. But my suggestion has not (yet) been approved for publication. "looks like it is actually geared to Outlook." Well, it does not do .pst file conversions either. As an email archiver (see website of maker) it has strong competition in the free Mailstore home. <b>HJB</b> "looks like it is actually geared to Outlook." Well, it does not do .pst file conversions either. As an email archiver (see website of maker) it has strong competition in the free Mailstore home. I just now installed the free Aid4Mail MBOX Converter to convert mbox to eml. And then tested the giveaway to make a single pdf containing all mails of a subfolder of Thunderbird. It worked great. In thunderbird select messages or control+a, right click on selection, select save, to save in a folder. Within that folder, you will have all emails in *.eml format. <b>HJB</b> In thunderbird select messages or control+a, right click on selection, select save, to save in a folder. Within that folder, you will have all emails in *.eml format. <b>HJB</b> Total Outlook Converter Convert Outlook emails or PST/OST files to PDF, DOC, RTF, TXT, TIFF files. Total Webmail Converter Convert emails directly from Gmail, Yahoo, and Windows Live without having to export them first! Total Thunderbird Converter Converts emails from Mozilla's Thunbderbird e-mail client to DOC, PDF, HTML, TXT, TIFF, and PST in batch. Thanks for the tip. I just used it in AllMyNotes to add the e-mails with a specified subject to one line in a note corresponding to a board meeting I will attend next week. With my notebook running AllMyNotes, I have all the (many) documents that will be discussed with me. Paperless but very tidy and orderly. After importing them into AllMyNotes, I can delete the exported mails. Even the ones with attachments. <b>Mks</b> Thanks for the tip. I just used it in AllMyNotes to add the e-mails with a specified subject to one line in a note corresponding to a board meeting I will attend next week. With my notebook running AllMyNotes, I have all the (many) documents that will be discussed with me. Paperless but very tidy and orderly. After importing them into AllMyNotes, I can delete the exported mails. Even the ones with attachments. actually Windozes, even #10, allow attaching links to the Start menu. is all it takes to attach to Start. Though I'm Outlook-bound I know to export messages to in my case msg files, with previous mail clients it was eml format. I cannot but think that Thunderbird too has export facility. What us users would love to have, viz. just going to the mail client folder copy and delete messages to our hearts content, and I say that really smacks of a conspiracy ! !, thisis not possible -- because there is not a single message there. So, where are they all?? Nicely packaged, just have to unwrap.IMAP or not, it is certainly worthwhile having backups of important message in PDF Format. As I actually have a real licence of this mail converter I would keep it if I were you. It works 100 % with MS Outlook. BTW Thunderbird is on the way out. Mozilla said so. <b>HJB</b> actually Windozes, even #10, allow attaching links to the Start menu. #10 is very auch a retrograde step in looks but a one click operation is all it takes to attach to Start. Though I'm Outlook-bound I know to export messages to in my case msg files, with previous mail clients it was eml format. I cannot but think that Thunderbird too has export facility. What us users would love to have, viz. just going to the mail client folder copy and delete messages to our hearts content, and I say that really smacks of a conspiracy ! !, thisis not possible -- because there is not a single message there. So, where are they all?? Nicely packaged, just have to unwrap.IMAP or not, it is certainly worthwhile having backups of important message in PDF Format. As I actually have a real licence of this mail converter I would keep it if I were you. It works 100 % with MS Outlook. BTW Thunderbird is on the way out. Mozilla said so. Re "BTW Thunderbird is on the way out. Mozilla said so." That was some time ago. Things are better now. They have been selected by SoftMaker as mail agent. <b>Sigrid.DE</b> Re "BTW Thunderbird is on the way out. Mozilla said so." That was some time ago. Things are better now. They have been selected by SoftMaker as mail agent. You should be able to right click on the Icon and Pin It to your start menu or your task bar if your on Win 10! <b>HJB</b> You should be able to right click on the Icon and Pin It to your start menu or your task bar if your on Win 10! The reply to my original post has made it possible for me to get substantial value from this program. 1. The program does what it claims very efficiently and effectively. 2. If you have a large volume of important email, this program can be used to periodically unburden your email client/server. 3. With regard to Thunderbird, Windows has an option for including Thunderbird emails in the Windows search facility. What they not tell you is that if you select that option, Windows creates a huge number of files that burden your system and backup facilities. With this program you can avoid that burden by merging individual small files into topical, self indexed large files. <b>HJB</b> The reply to my original post has made it possible for me to get substantial value from this program. 1. The program does what it claims very efficiently and effectively. 2. If you have a large volume of important email, this program can be used to periodically unburden your email client/server. 3. With regard to Thunderbird, Windows has an option for including Thunderbird emails in the Windows search facility. What they not tell you is that if you select that option, Windows creates a huge number of files that burden your system and backup facilities. With this program you can avoid that burden by merging individual small files into topical, self indexed large files. 4. The authors of the program would be well advised to write a how-to article showing imaginative ways in which file conversion can be used to enhance search, archive and presentation. Those who have dismissed this program as being not useful, ought review the program settings relating to date output. [The program is probably not very useful to people who do not have an archival or commercial or research interest in their email, but even they may periodically get some use out of it.] 5.